Be found and bring on your business leaps and bounds! Chunky Frog SEO are search engine optimisation experts based in Brentwood, Essex, UK. We gain your company, business or project 1st page results on Google and other major search engines via our tried and tested techniques. Our SEO techniques are effective and whitehat – we have a bundle of happy clients to back this up! Please feel free to contact us on enquiries@chunkyfrog.co.uk to arrange a phonecall to discuss your Search Engine Optimisation needs. Why not find out if your website is on the right track by trying our SEO Status Report? We will create a one off report on your site showing the current search results and where you might be missing opportunities to better your ranking. We will also look at your Twitter and Facebook pages (and or create them!) to highlight any possible improvements. We have described some of the main areas of SEO below which we hope will help you understand what is involved. The first job to do when creating an SEO campaign is to create a list of keywords, part of the meta data set-up, that you wish to rank for (as we have done above). A keyword is what you would type in the Search Engine to find your results. Although you will no-doubt know many keywords for your website there will be many more that you haven’t thought of. We can identify these keywords and focus in on the ones that will provide you with the best conversion rate. 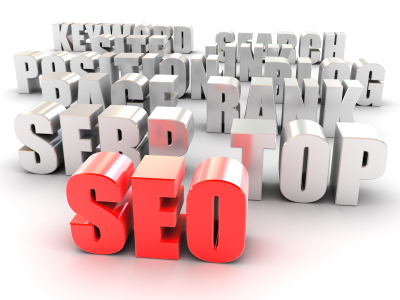 Backlinks are links from other websites to yours and are seen by the search engines as a vote of quality to your site. If a site links to your website it must think there is something on your website that is worth telling others about. Backlinks are one of the most important tools to help your ranking. However it is no good getting thousands of backlinks from any old sites, it is important that the links are from quality websites within your industry. One popular form of SEO is creating micro-sites. These are essentially a mini version of your main site specialising in certain products. For example if you sell bathroom suites you might want to create a micro-site which just sells taps or plugs. How does this help? Well because the micro-site is solely dedicated to those products the search engines sees it as an authority in the subject. There is an art to creating micro-sites which we have mastered. When you use search engines like Google the results you see come from meta data or meta tags on your website. In Google it displays two tags, the title tag and description tag. Meta tags are very important and are used to help ranking therefore having the correct meta tags is essential. We have all heard of the two main social media sites out there, Facebook and Twitter. Since the end of 2010 search engines are now using the popularity of these sites to help in the calculation of where your website should rank. Like it or loath it social media is here to stay and is a very important marketing tool for your business. Blogs are basically mini sites which people have used in the past to let people know what is going on in their life. Blogging however is a fantastic form of online marketing and can generate many leads if managed correctly.